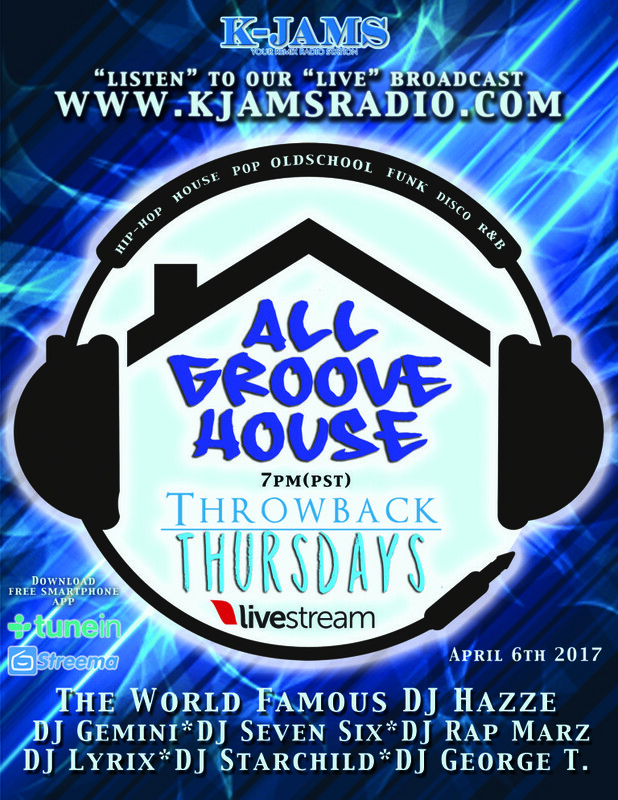 KJAMS Radio is now broadcasting a new Radio Show called “The All Groove House Throwback Thursdays. Bringing you some of the most talented DJ’s in the Greater Los Angeles area. We will broadcast live from the All “Groove House Studio” in Van Nuys, California -The San Fernando Valley. Tune in every Thursday night at 7pm (pst) to hear some of the best oldschool mixing from the seasoned Dee Jay, to the up and coming, and rising stars of the Turntblism industry. You can listen to the live broadcast on our website hear on kjamsradio.com, iTunes Internet Radio – (80’s flashback) from your computer, or you can download the free tune-in or simple radio by streema apps for your smartphone. We will also be broadcasting the live video stream of each session in the All Groove House Studio; to see all the action go to livestream.com. You can also catch The KJAMS’s mixmasters in session on occasions, as well as special appearances from touring DJ’s around the world. Get all the updates of all our upcoming events and promotional contests, and more about KJAMS Radio on our Facebook Page.